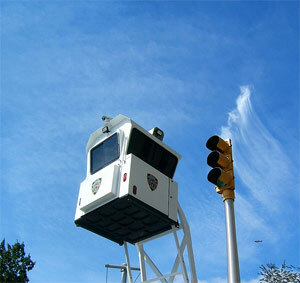 Yea or Nay: NYPD Skywatch crime surveillance…coming to a corner near you. One of these just showed up nearby. Here’s more info on what these things are. Not the most subtle device in the world. But really that’s just the point? Yea or Nay: Track Taxis with GPS? We talk a lot on this blog about how tracking personal activities and collecting data can be extremely useful. We also talk about the need for better laws, regulations and shared social understanding of how such data should be collected, shared and used. As part of our ongoing work to make sense of such a complicated and confusing set of issues, we’ll be collecting interesting “moral dilemmas” related to the issue of tracking human behaviors and posting them as a series of online polls. It’s an attempt to take a more “empirical,” case-by-case approach in an effort to keep high-level policy thinking rooted in reality. If you come across something an interesting moral dilemma, please send them our way. Using G.P.S. technology installed in cabs, the (Taxi and Limousine) commission discovered more than 1.8 million trips where passengers were charged the higher rate. Should we track taxis with GPS devices?